The first showdown between Panathinaikos and Olympiacos is taking place at the Olympic Sports Center Athens, with the two teams still trying to find themselves and having several ups and downs in their performance. There’s more urgency for the Greens since they’re the home team and since they have the support of a packed arena, as the team’s people have announced that the tickets for the game have been sold out from the beginning of the week. David Blatt, on the other hand, will have the chance to experience the atmosphere of such a game for the first time and, in fact, as a visitor, and it will be interesting to see what his approach will be. Any prediction for a winner in a game like this involves a huge risk so perhaps the safety of the handicap may be the wisest option. 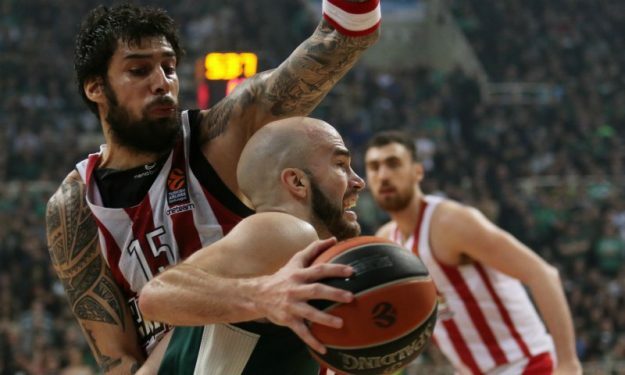 Panathinaikos have an edge because of the home court, but Olympiacos, on the other hand, have shown better things this season, despite the many fluctuations in their performance. The game will probably be decided in the details, as was the case in the two previous seasons at the Olympic Sports Center Athens, when the Greens hosted the Reds in the regular season of the EuroLeague. Scottie Wilbekin is back in action and he’ll probably be more ready than he was in the game against Barcelona last week. This, combined with the home court factor, might lead Maccabi Tel Aviv to a good performance that will allow them to play for the win until the end. The handicap (+7.5) seems pretty big for this particular game. Neven Spahija’s team already suffered several defeats at the start of the EuroLeague, and one more disappointing performance – especially at home – is deemed unacceptable considering the club’s standards and expectations. Real Madrid clearly have the quality to get a win, but so far they’ve shown us that they’ve been having a hard time far from home and cannot get easy away wins. So, we’re expecting a game-thriller, with the details deciding the winner. Sarunas Jasikevicius’s team is far superior to the home team in terms of quality and, the easy way or the hard way, they will manage to get the win in the end. The question here is how competitive Buducnost will manage to be. An away win for the Lithuanians from the first half pays well and, despite the risk that these kinds of options involve, it’s worth including it on one of our bets. The Lithuanian coach is a guarantee that Zalgiris will show up serious and focused and without any sign of underestimating the opponent, from the first minutes of the game. Georgios Bartzokas’s Khimki cannot afford another home defeat. In the previous round they returned to winning ways against the weak Gran Canaria, but they still have a lot of ground to cover after their poor start in the EuroLeague (1-4). The hosts have the upper hand even though they’ve been having many ups and downs in their performance. Barcelona have improved but they’re still not very convincing, especially away from home. What Svetislav Pesic would like is for his team to collect as many wins as they can during this time when they are still looking for roles and chemistry, as there are many new players and the Catalans definitely need time in order to perform on the court what they are really capable of, based on their quality.